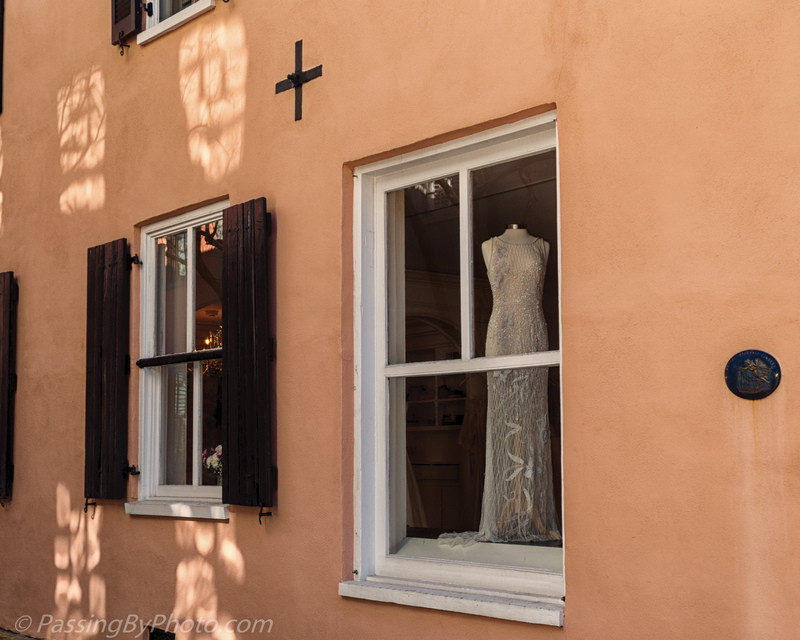 The front window of this bridal shop on Church Street in Charleston is always filled with luxurious wedding wear, but is difficult to photograph. Glare, reflections of cars parked across the street, and folks passing by are detractors. Fortunately for those wanting a more intimate peek of it’s offerings (yes, me!) 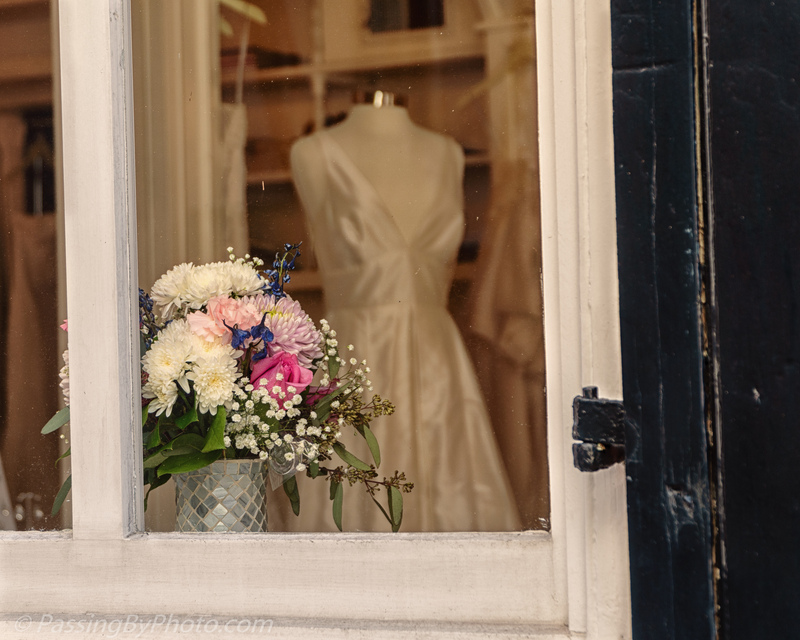 the shop has taken marketing advantage of its windows on the side street. The gowns are elegant even on a headless, limbless dress form. 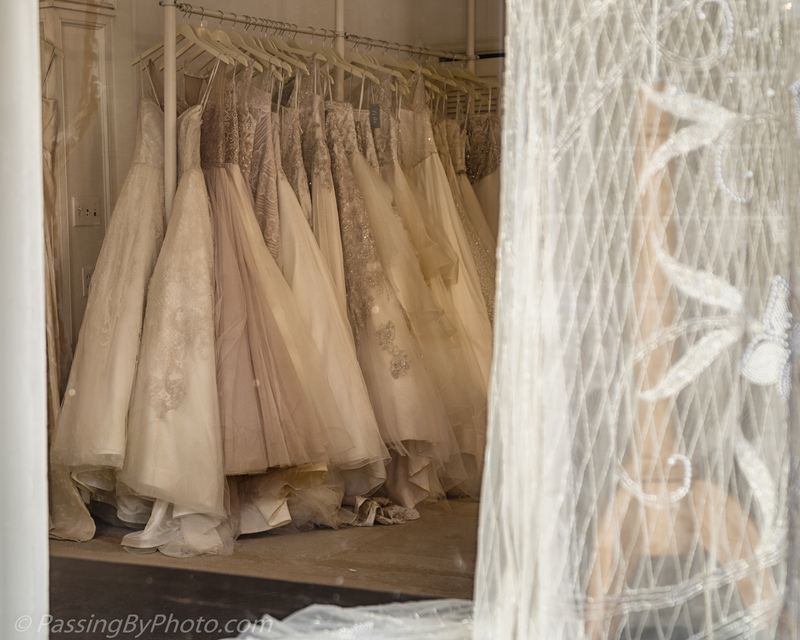 An entire rack of taffeta, lace and sparkle draws my eye and the bridal march is playing in my head. Very pretty, atmospheric post Ellen.. lovely! Thanks, Liz, so glad that you liked it! OMG, if I weren’t already married I’d do it immediately, just to wear one of those beautiful wedding gowns! That’s kind of what I was thinking, Greta!